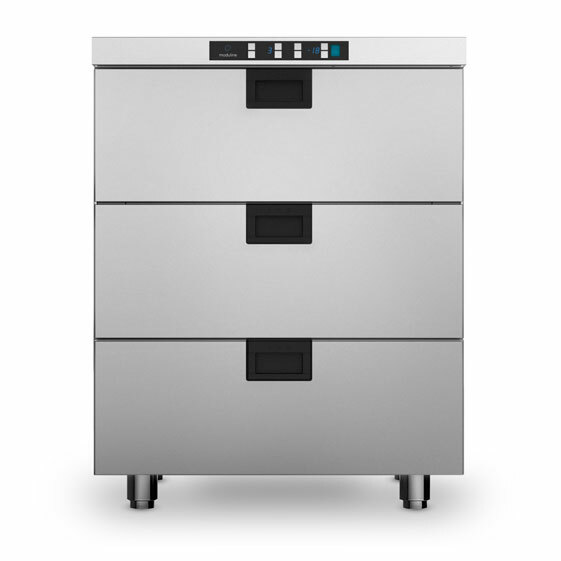 2 x 2/1 GN or 4 x 1/1 GN (longways) refrigerated drawers. 1 x 600 x 400 freezer drawer. Operating temperature +0°CC/+5°CC and -18°CC/+5°CC.